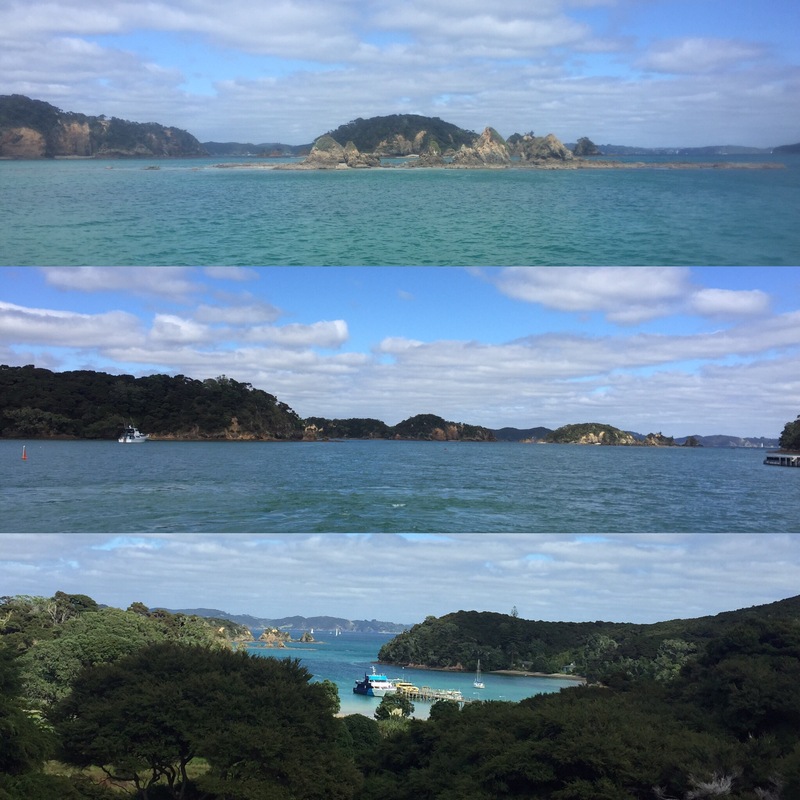 On our last full day in Paihia, we went on a boat trip that would show us a lot of what the Bay of Islands has to offer. 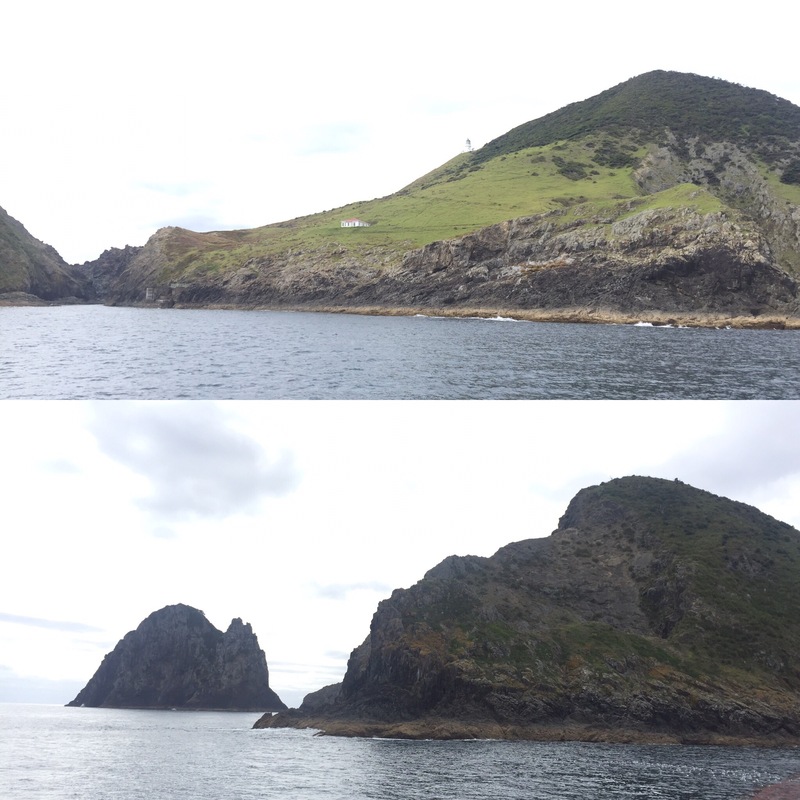 There are 144 Islands in the Bay and the majority of them don’t have any inhabitants. Our boat captain was very informative and quite funny with little anecdotes that he shared throughout the day. 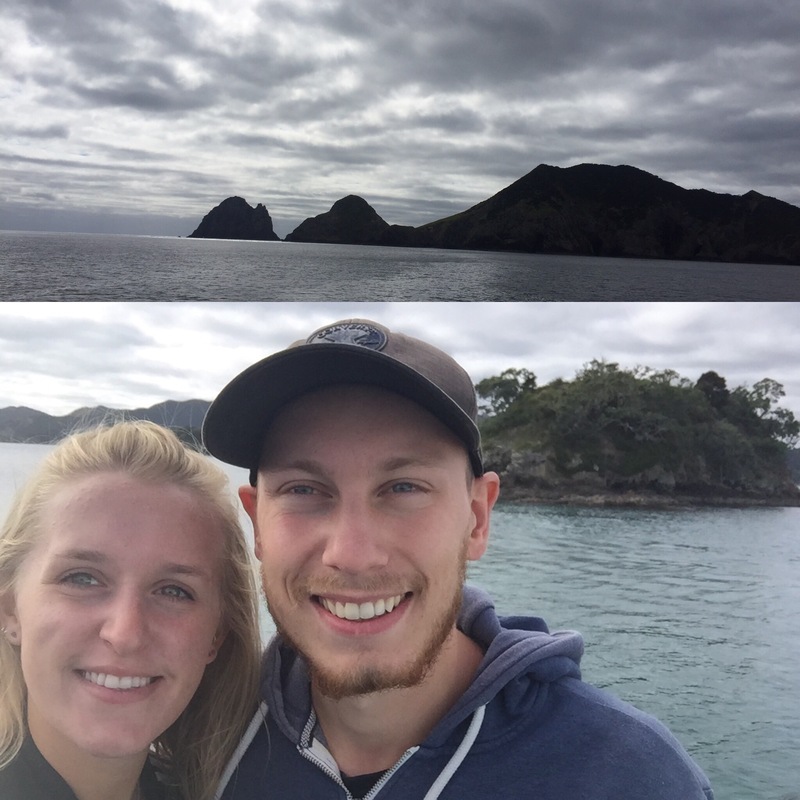 We were told about the different flags that New Zealand has. If the flag is red it means it’s a maritime flag, if white then its navy and if it’s blue then it’s the national flag – we had been wondering about this as we had seen different coloured flags on boats in the Auckland harbour. They had tried to change the New Zealand flag recently (not really sure why) but they had been unsuccessful – I imagine it would have been a logistical nightmare and probably a huge amount of money to do it anyway! 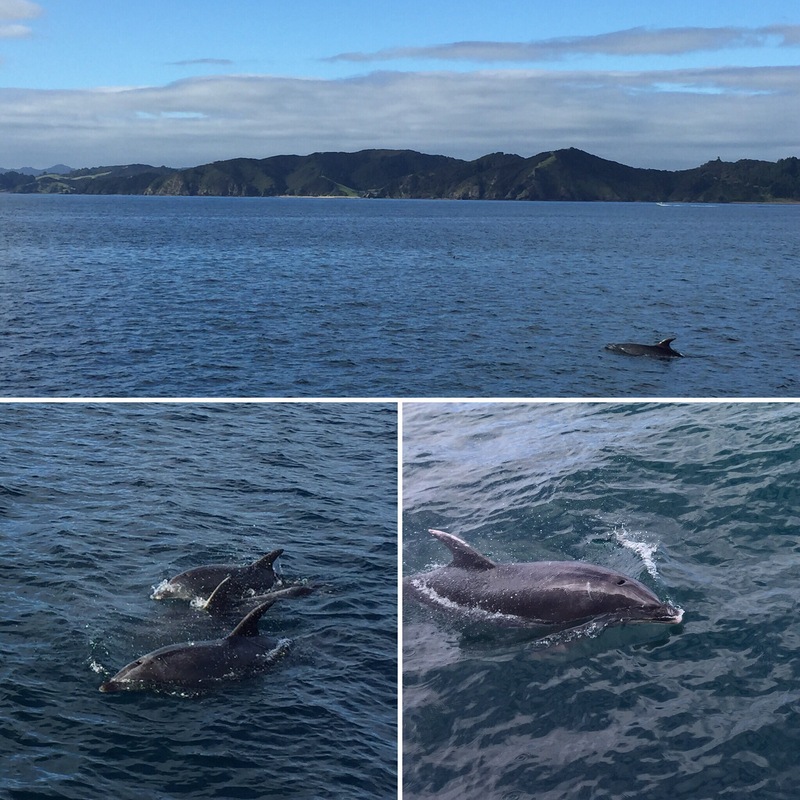 One of the best things about this boat trip was seeing all of the dolphins. There are loads of dolphins in the Bay and the boat knew just where to find them. They were really close to the boat and some were even doing flips and jumps out of the water – it was really cool! We had only seen dolphins really far away or under the water in Bali but these dolphins seemed a lot bigger. 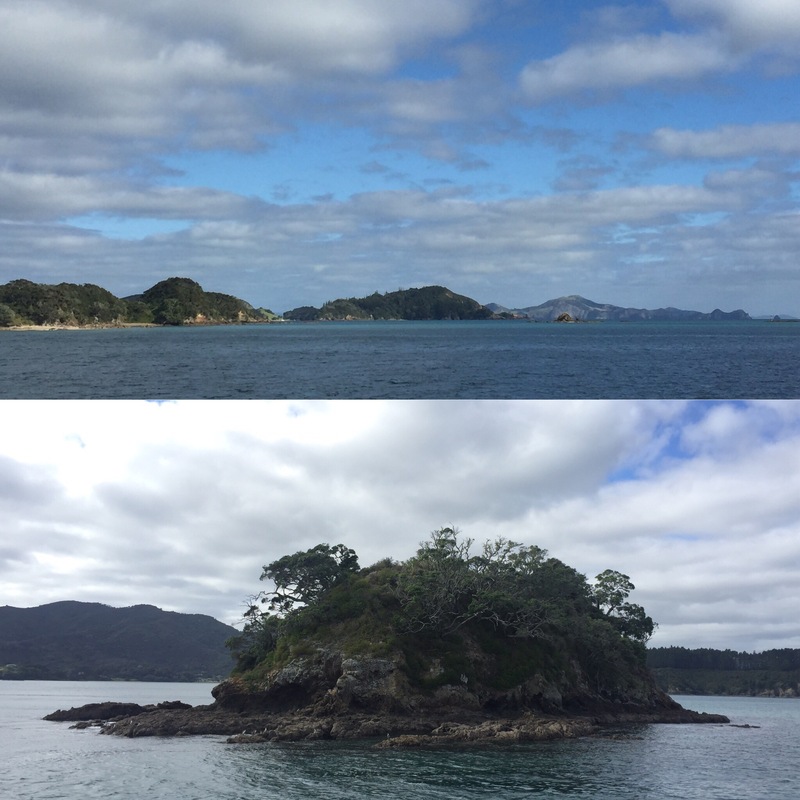 The islands are so beautiful and we learnt all about the history of the area and how it was discovered. 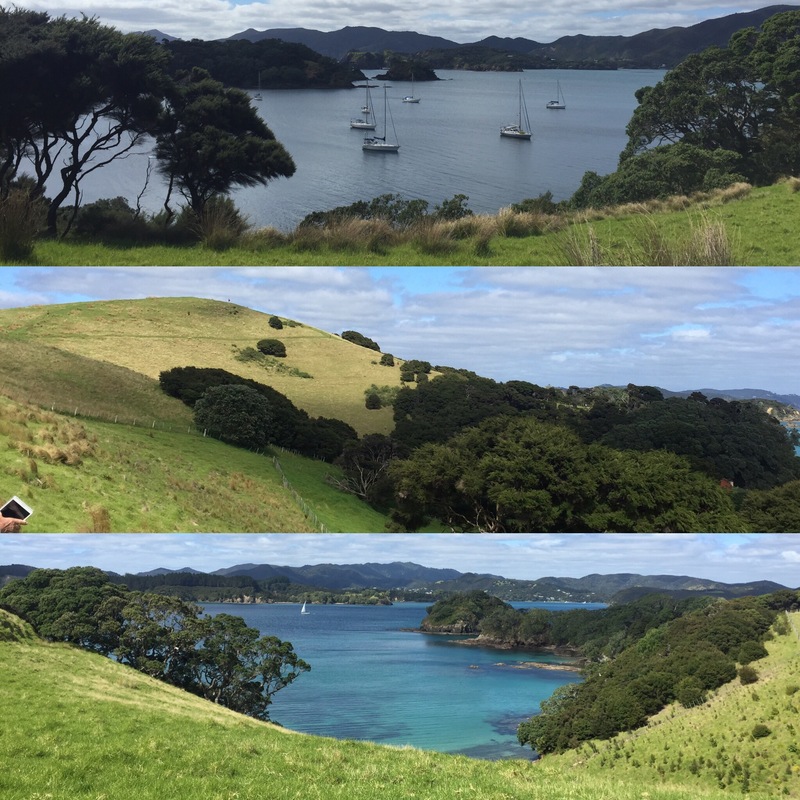 Captain Cook had sailed into the bay with a Polynesian man as his aid (so that he could communicate with the local Maori tribes) and had counted 144 islands in the Bay which is why it was given the name, the Bay of Islands. 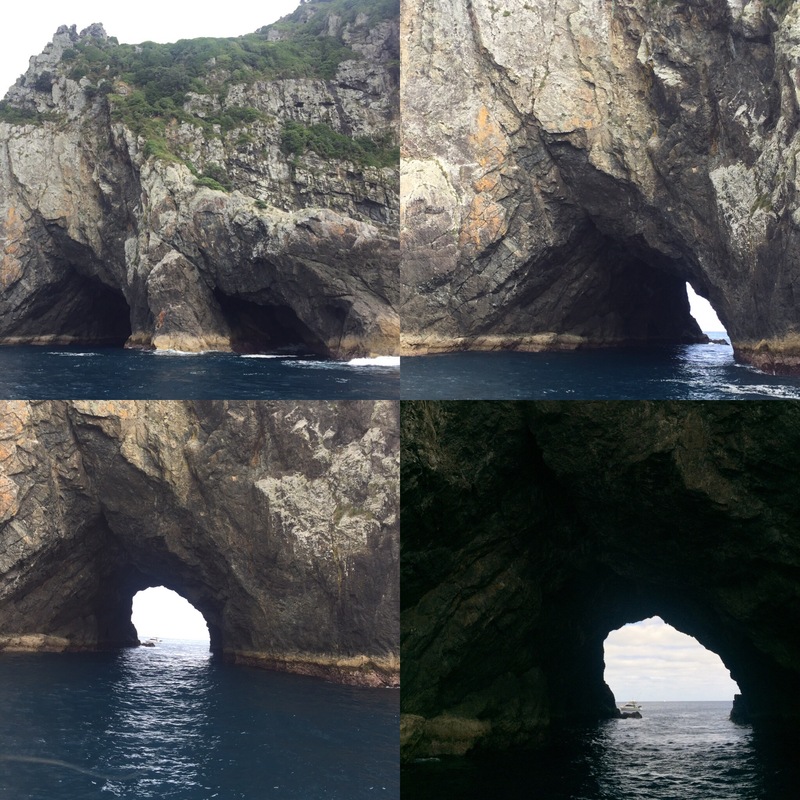 We went to the end of the bay to ‘the hole in the rock‘ which you can normally sail through. 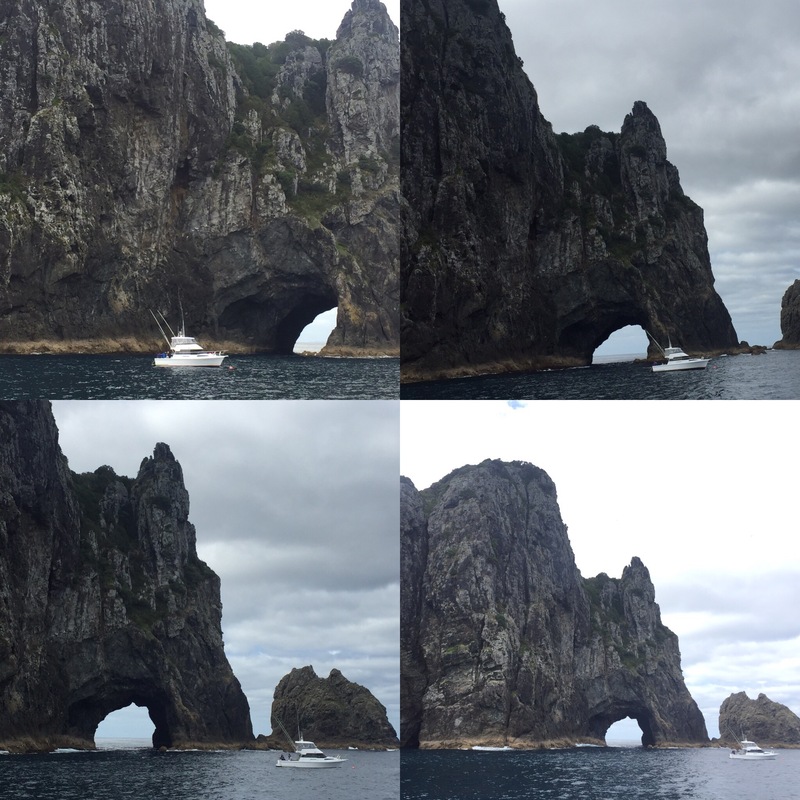 Unfortunately a small fishing boat had decided to fish right at the entrance of the hole which meant me weren’t able to get through, so instead we just sailed around the rock. 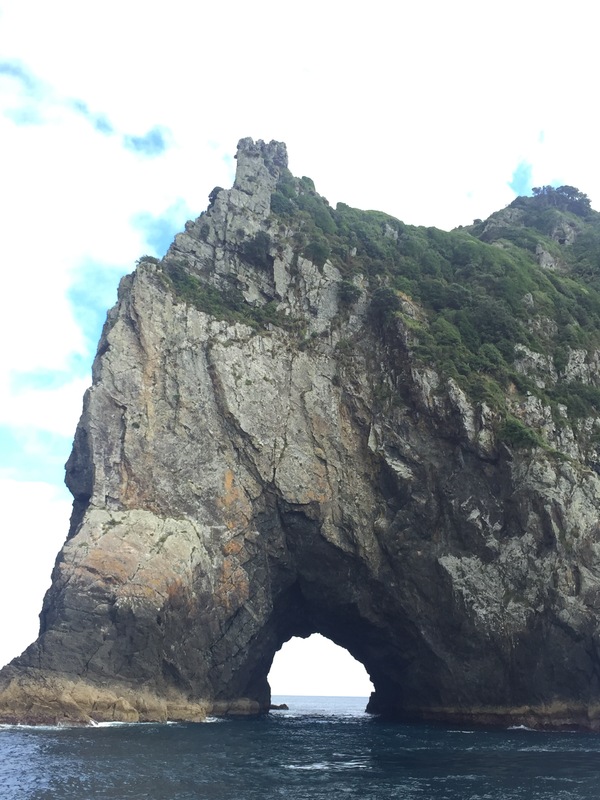 If you do go through it’s meant to be lucky if a drop of water lands on your head and Maori’s in the past would sail through the rock before battle and if they didn’t get dripped on they sometimes wouldn’t even go to battle! We were then taken to one of the islands that has a harbour so that we could go and have a look around. The island had a walk you could do that took you to the top of a hill that overlooked the bays and the island. The weather was fantastic and the views were brilliant from the top – it was made all the better from the clear blue sky and bright blue seas. 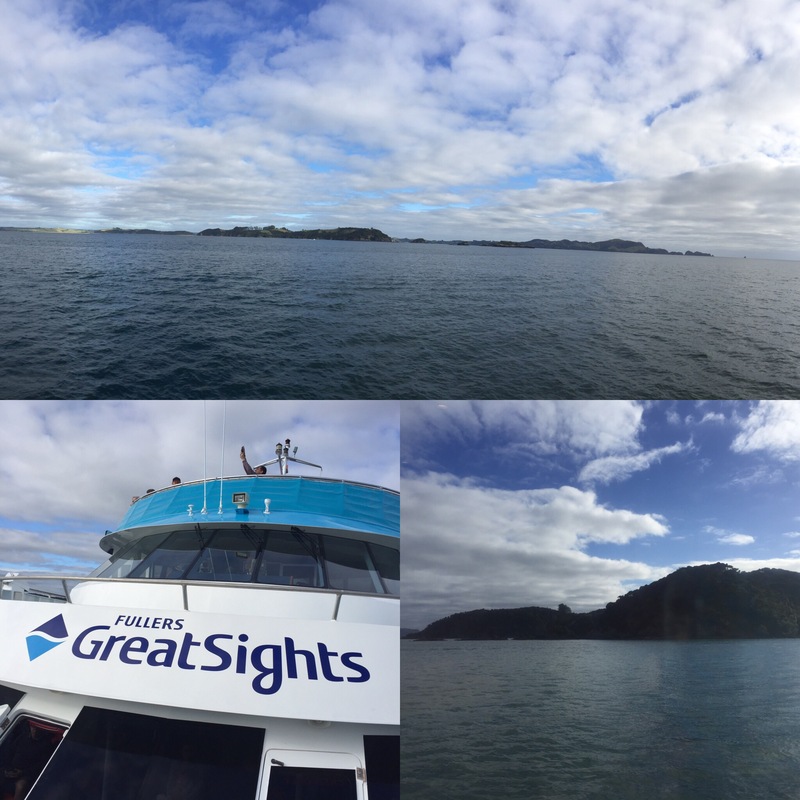 On the way back to Paihia you had the option to get off the boat at Russell which is across the water from Paihia (it is actually still connected to mainland New Zealand but is just faster to get to it by boat). 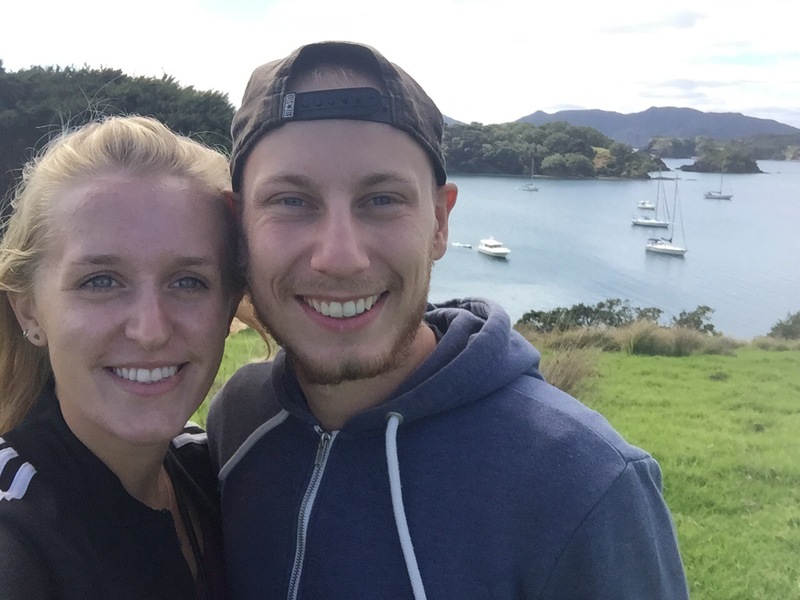 We decided to have a look around and go for a drink as Russell boasts having the oldest pub in New Zealand. 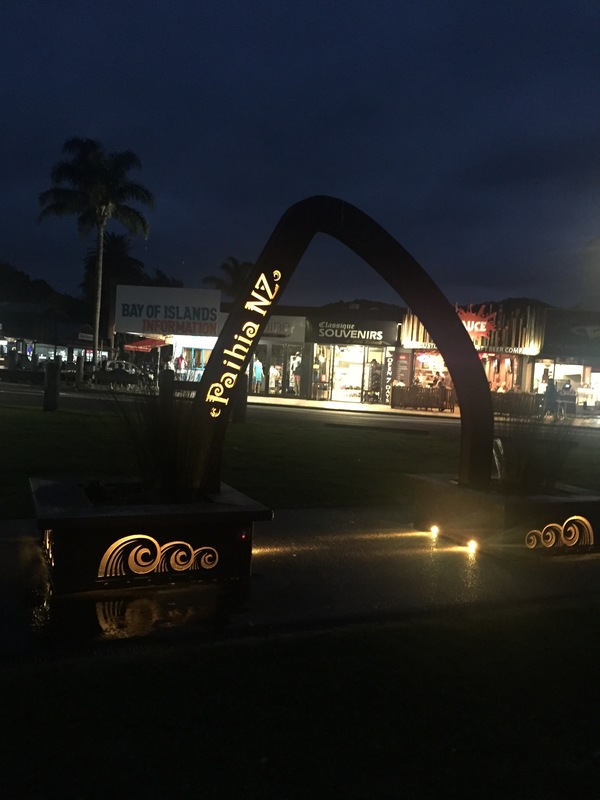 It was New Zealand’s first capital and used to be a very wild place when the sailors would come into town – it was even nicknamed the Hell Hole of New Zealand! It had no laws and prostitution was its biggest industry so you can kind of understand why it got such a name. Even though they say that the Duke of Marlborough Hotel is the oldest pub in New Zealand, I’m not convinced! It’s actually been burnt down 4 times – 3 times by accident and once on purpose so I don’t know if you could actually say that the pub standing today is really that old – I’m probably being too pedantic here! 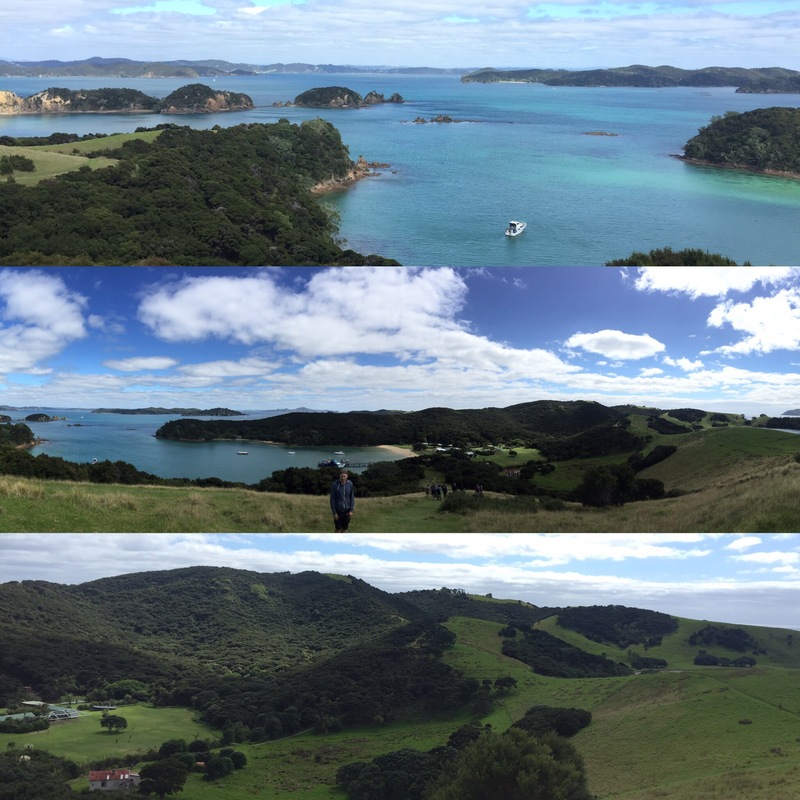 It was one of the first pieces of land sold to the Europeans by the Maori’s though which is pretty cool. 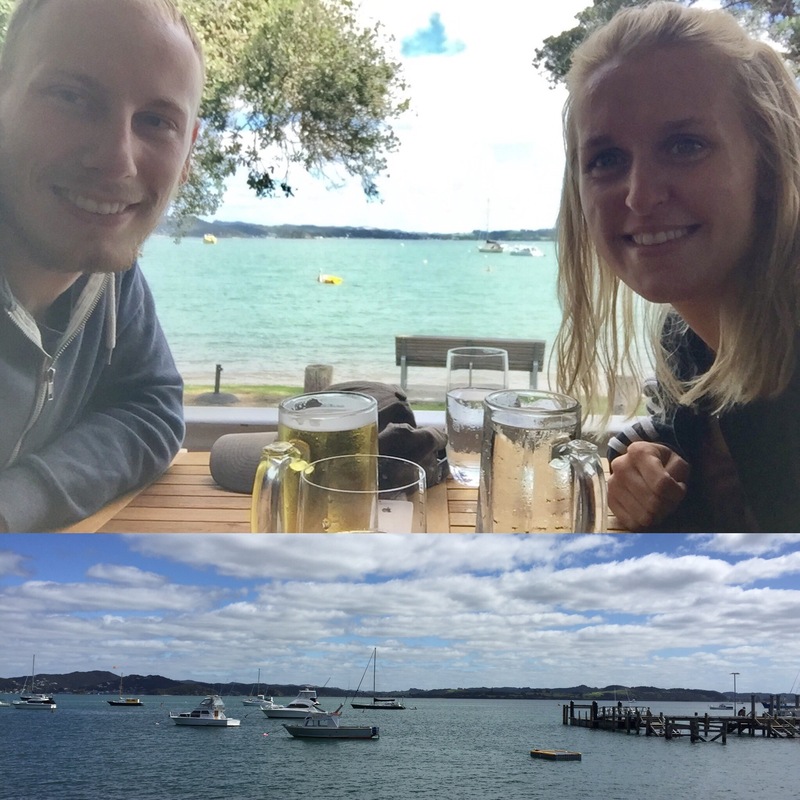 We got the ferry back to the hostel and then later on, walked and relaxed by the wharf to enjoy our last evening in Paihia. It was quite a long journey back to Auckland and, as it was the same journey we had done on the way up, it was a chilled drive back. We got to watch a film which was called ‘Hunt for the Wilderpeople‘ which is the highest grossing New Zealand film ever made (they don’t count Lord of Rings as that’s made by Americans). 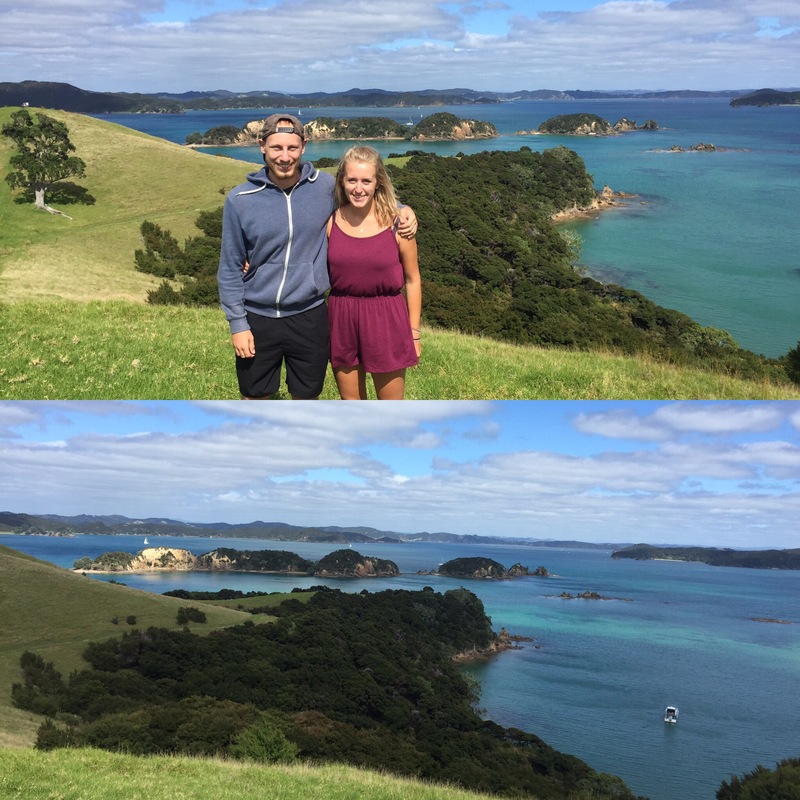 If you ever get the chance to go to the Bay of Islands whilst you’re in New Zealand then I really recommend you do. 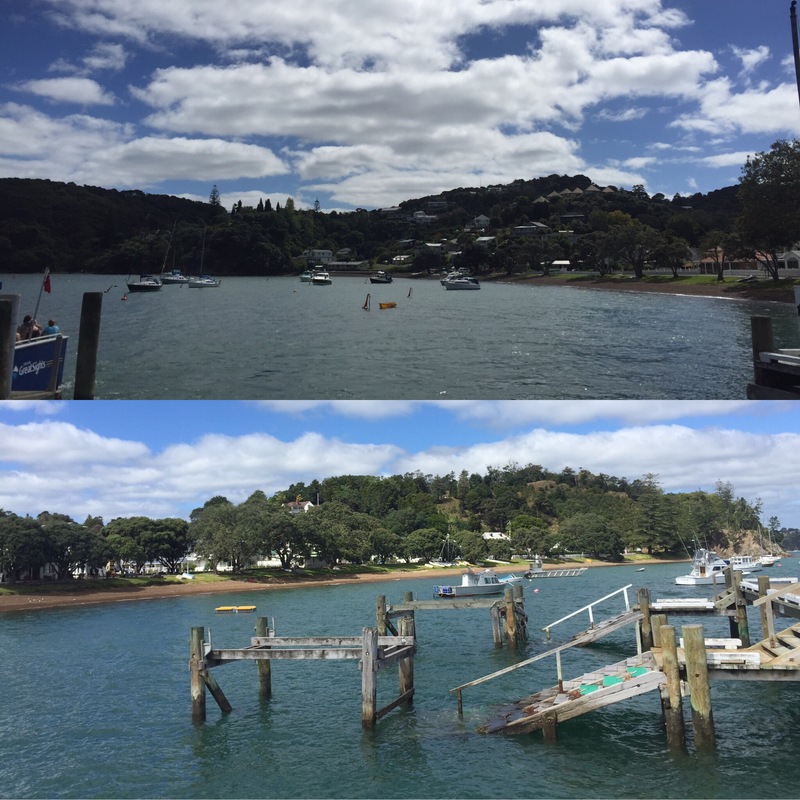 It is a really nice place to stay for a few days and we had a great time exploring the Bay of Islands.